Indianapolis skyline over Monument Circle. After more than a year of intense competition, Amazon has announced its decision for its much sought-after HQ2. Company officials announced Tuesday that they had selected two locations the company selected two locations, rather than one, and will evenly split the 50,000 jobs and its headquarters between Arlington, Virginia, and New York City. In an unexpected announcement, Amazon also announced that Nashville will become the home of a new operations hub, bringing an additional 5,000 jobs to the city. For more than a year, communities across North America—including the Indianapolis region—developed and presented proposals to Amazon, all vying for the $5 billion project. IU Public Policy Institute senior analyst Drew Klacik was among the experts who assisted in developing the city’s pitch. Klacik specializes in looking at the impact and interrelated nature of economic decisions. He says the Indy region worked diligently to communicate the assets that make it competitive among a field of much larger cities. In January, the company narrowed its list from 238 potential locations to just 20 proposals. Indianapolis remained on that short list. 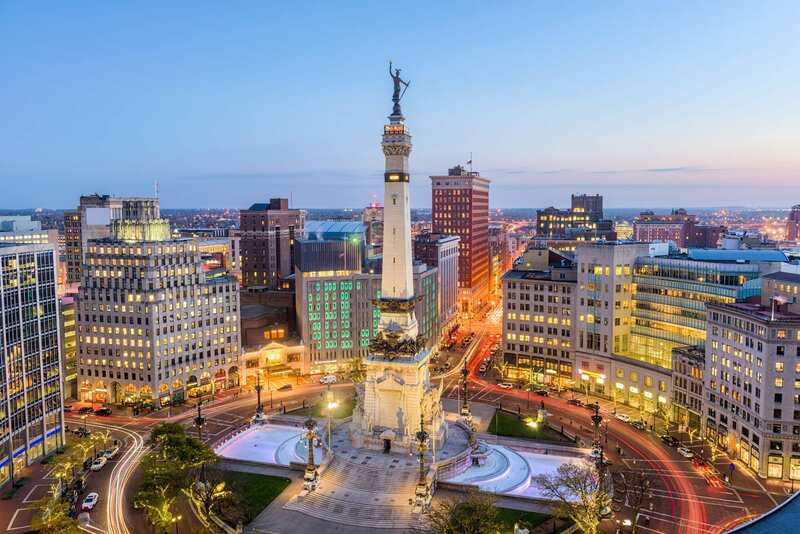 In an interview with the Indianapolis Business Journal earlier this year, Klacik and others laid out the potential benefits to the region: a housing boom, economic surge, employment opportunities, and higher average private-sector wages around the state. It’s important to note that the online retail giant did announce in October that it would build a packaging center in Greenwood—an Indianapolis suburb—that will bring about 1,250 jobs to that area in the years to come. As welcome as that news was to Johnson County, it certainly isn’t the 50,000 jobs the area was hoping for, nor the 5,000 that Nashville will receive. Yet all along, Klacik says there was an inevitability of sorts in the competition: If Amazon was looking for an emerging, Midwestern/Great Lakes Region market to set up shop, Indianapolis had a good chance of winning. But if the company was eyeing a large global metro area for its next headquarters, it was a completely different competition.